Please “like” our page on Facebook and spread the word! We’ll get more features up as soon as possible. We are in the very early stages of our formation, but check back often as we grow as a society and this site grows in content. 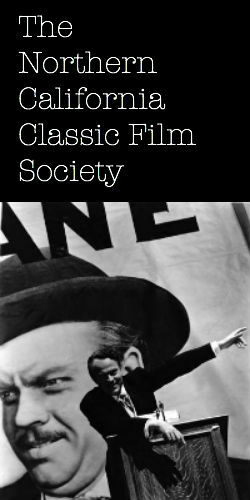 Welcome to the Northern California Classic Film Society. Please send us any suggestions you may have for this site or the society in general.